Your best smile is one that you're proud to flash. Are you proud of your current smile? Cosmetic and general dentist Francys Day, DDS, at Austin Smiles By Day in Austin, Texas, specializes in making patients' smile dreams come true with full and partial smile makeovers. From simple smile touch-ups to full-blown restorations, Austin Smiles By Day is here for you. Call or book online for a consultation today. No two smile makeovers are the same. Dr. Day offers complete and partial makeovers personalized to match your aesthetic goals and dental health. A smile makeover means having one or more cosmetic dentistry procedure to brighten your smile. This can be as simple as whitening your teeth or as comprehensive as a full mouth reconstruction. Your smile makeover may include one or several of these options. Dr. Day helps you weigh the advantages and disadvantages of each approach to help you determine the best procedure for you. 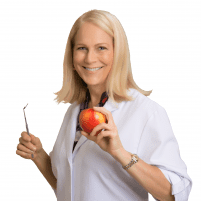 Passionate about growing her dental skills, Dr. Day has received extensive hands-on training in rigorous Spear Dental Workshops to enhance her smile makeover abilities and provide her patients with the highest quality dental care possible. Next, it will be time to review your options for a smile transformation. Dr. Day likes to educate patients and works with you to devise a satisfying makeover treatment plan. Dr. Day can show you what the final result of your smile makeover might look like so you can decide whether or not you want to proceed. Like what you see? Get that smile makeover! Dr. Day believes in a conservative approach to dentistry and won’t recommend a procedure unless it benefits the health and beauty of your smile. She also thinks that cosmetic dentistry should be accessible and affordable to all. That’s why Austin Smiles By Day works with you to select a smile makeover that works for you and your budget. Could your smile be healthier, brighter, and more radiant? Call Austin Smiles By Day or make an appointment online today.